Hydrating and regenerating combined (day and night) cream with UV filter, combining the power of 100% snail extract, valuable oils of almond and calendula and the antioxidant power of olive pit extract. 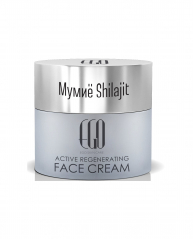 Restores the hydro balance of the skin, stimulates production of collagen and elastin, evens complexion, helps reducing the wrinkles, normalizes pigmentation and protects the skin from harmful effects of the environment. Clinically tested. Hypoallergenic. Without parabens. 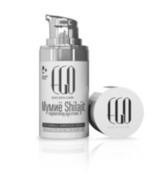 Without colorants and fragrances to prevent irritation of sensitive skin. Suitable for all skin types. For men and women of any age. Use: Apply morning and evening on face, neck and decolletage on previously cleansed skin with gentle massage movements. In case of contact with eyes, rinse with water.